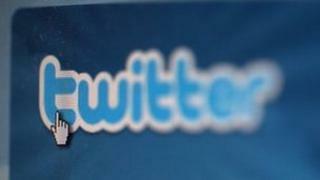 Twitter has blamed a "cascading bug" for rendering the social networking site inaccessible on Thursday. In a blog post , Twitter dismissed reports it had been hacked, and offered "sincere apologies" to its users. "A cascading bug is one with an effect that isn't confined to a particular software element, but rather its effect "cascades" into other elements as well," explained Mazen Rawashdeh, the site's vice president of engineering. "One of the characteristics of such a bug is that it can have a significant impact on all users, worldwide, which was the case today. "As soon as we discovered it, we took corrective actions, which included rolling back to a previous stable version of Twitter." Mr Rawashdeh described the situation as "turbulence". "We began recovery at around 10:10am PDT [18:10 BST], dropped again around 10:40am PDT [18:40 BST], and then began full recovery at 11:08am PDT [19:08 BST]." The site's last major downtime in the UK was on New Year's Day when the site crashed after becoming overloaded. In its earlier days, Twitter was famed for its flaky reliability, with its "fail whale" cartoon - which was displayed when the site was overloaded - becoming a regular sight for users. "For the past six months, we've enjoyed our highest marks for site reliability and stability ever: at least 99.96% and often 99.99%. "In simpler terms, this means that in an average 24-hour period, twitter.com has been stable and available to everyone for roughly 23 hours, 59 minutes and 40-ish seconds.